Betsafe – Casino Goody Bag! Deposit for a smashing surprise! Getting rewarded for loyalty and time spent at a casino is probably the most desired characteristic potential new players look for when they sign up with a new gaming joint. 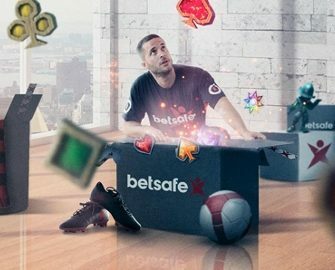 Betsafe is one of the best in its class and just started a weekly campaign for June and July 2018 that will award every weekend a “Goody Bag” to all depositing players. Want to see what’s in yours? Deposit minimum €10 at Betsafe from Monday to Thursday to get anything from Bonus Spins, Free Bets to Safe Bets, Reload Bonuses or even no-deposit Bonuses. Amounts and value of spins will vary based on the activity and deposit level from Monday to Thursday. Winnings from them need to be wagered 35x in the casino and mobile casino within three days. Players from Ecuador, Nicaragua and Panama are not eligible to receive Bonus Spins and/or BIG Bonus Spins. 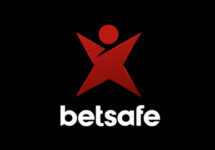 The Safe Bet can be used on any device and on both pre-match or in-play (live) markets, except on Horse Racing markets. The Safe Bet has to be placed with real player funds. Players losing their Safe Bet, will receive a refund of their stake with no wagering requirements. The Free Bet can be used on any device and on both pre-match or in-play (live) markets, except on Horse Racing markets. Net winnings from the Free Bet, except the stake, will be credited as a bonus which needs to be wagered 1x within 30 days in the Sportsbook with odds of minimum 1.50. Launched in 2006, the casino is operated by BML Group Ltd. under MGA and UK licenses. The player has the choice of mobile or desktop platforms with Casino, Sportsbook, Live Betting, Live Casino, Virtual Sports and Poker. The Casino section has a large array of games from Netent, Bally, Barcrest, Bet Digital, Cryptologic, Elk Studios, Foxium, IGT, iSoftbet, JFTW, Leander Games, Lightning Box, Microgaming, NextGen, NYX Interactive, ONgame, PariPlay, Play’n GO, Pragmatic Play, Push Gaming, Quickspin, Realistic Games, Red Tiger Gaming, Scientific Games, Thunderkick, Williams Interactive and Yggdrasil. The LIVE Casino tables are powered by Evolution Gaming, Extreme Live Gaming, Netent Live and Portomaso Gaming.